Rock and Soul at The Hub New Year's Eve! You heard right folks, this year the big night is ours! The Hub is always my favorite place to spend NYE, but this time it's gonna be over the top. In addition to the jams you love, we've got a bigger light show than ever, a champagne toast of course, and a delicious spread. 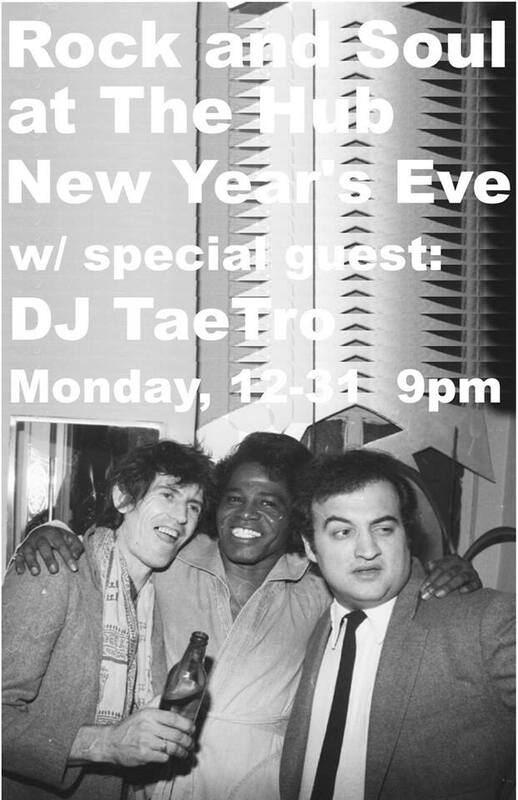 To top it all off, we've got DJ TaeTro comin with the funk like only he can. It's truly gonna be a night to remember, can't wait to see y'all there!